We are excited to announce several key enhancements and updates to automated testing capabilities for Dynamics 365 and model-driven standalone PowerApps. With this release we are providing capabilities for developers to get up and running quickly with more pre-defined tests, support for the Unified Interface and updates to support newer versions of the Chrome Browser. You can learn more on how to get started via GitHub which includes documentation and the project files needed to start building your test suites. 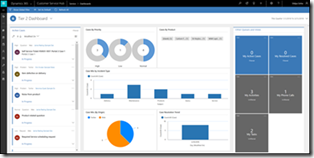 In April 2018 we announced the Unified Interface for Dynamics 365 and with this update for EasyRepro we have included support for the new interface. 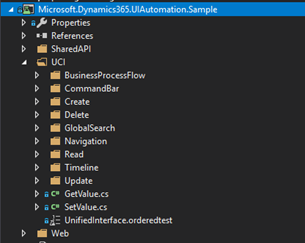 The additional libraries will help you author and run tests using EasyRepro supporting Dynamics 365 versions 9.0.2 and above. Over 100 standard tests for the Web Client and over 50 tests for the Unified Interface (UCI) have been added to the GitHub project files. The sample test bank covers create, retrieve, update and delete scenarios for multiple entities including contacts, opportunities, accounts, leads and cases. This provides you with the ability to easily run and create customized test banks as your initial code base. You can access the pre-defined tests within each of the specific functional areas you are testing. We have added additional client telemetry via the Window. Performance browser interface. The interface provides access to navigation and resource timing performance with related information for the current test you are running. You can easily access the results with the additional telemetry captured from the client and review the results from a local store. The EasyRepro libraries have been updated to support the latest Chrome Browser, up to version 67. 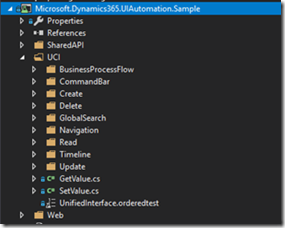 NuGet Packages for the Spring Release of EasyRepro are now available for you to download and start developing your test suites for Dynamics 365.